If you’re suffering from a toothache or sensitivity to temperatures, it could be a sign that decay and damage have reached the interior of your tooth. When this happens, a root canal may be the best treatment to restore and save your tooth. Call or book appointments online with Dr. Leonid Levit at either of his practices, Levit Dental in the Brighton Beach neighborhood of Brooklyn, New York, or Kensington Dental, found in the Kensington neighborhood of Brooklyn. A root canal is an endodontic procedure that removes decay and damaged tissue from the pulpy interior of a tooth, where the blood vessels and nerves are held and protected. When decay penetrates deep into your tooth, it not only causes pain and sensitivity but can also lead to tooth loss if left untreated. Fortunately, a root canal can save your tooth. What symptoms suggest I might need a root canal? Pain is the biggest sign that you need dental attention. Sensitivity to hot or cold can also indicate a problem. However, it’s important to remember that many dental issues, including decay and damage to the interior of your teeth, don’t present any symptoms at all. That’s why it’s so important to have regular dental checkups. Dr. Levit monitors your teeth to check for any signs of change and performs dental X-rays to examine the interior of your teeth. Root canals are actually a lot like fillings for surface cavities. 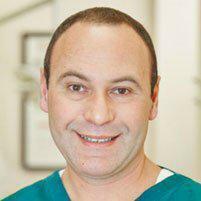 Dr. Levit numbs your mouth around the tooth that needs to be treated. He then uses special tools to reach the interior of your tooth to remove any decayed tissue or debris. Once the decayed tissue has been removed, Dr. Levit fills your tooth and seals it to prevent any further decay from occurring. In most cases, he fits a crown on the treated tooth to provide additional support and protection. While root canals do have a reputation, modern dental technology has transformed these treatments into quick and relatively pain-free experiences. Dr. Levit has years of experience performing root canals and is dedicated to staying up to date with advances in dental practices and technology, ensuring his patients receive the best treatments available. If you are suffering from any of these symptoms, call or book an appointment online today. Dr. Levit provides comprehensive diagnosis and care to improve your dental health, including root canal treatments.